The idea of therapeutic fasting is not new. Every religious text and many philosophers from ancient Greece fasted for certain periods of time. I then began practicing some level of fasting, either once a day, a full 24 hours, every week or three days every three months or some variation. 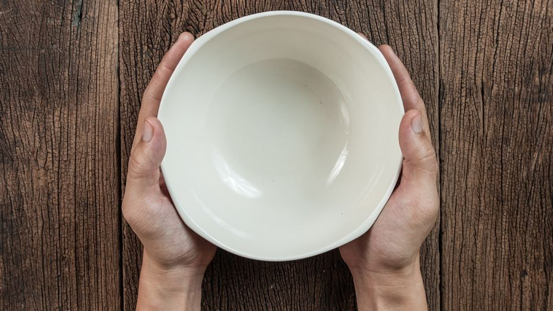 Since then fasting has gained plenty of attention in the scientific community for improving everything from cancer to longevity. Here’s what I know about Intermittent fasting and why I am suggesting it to patients. What is it Intermittent Fasting? Intermittent fasting (IF) includes everything from not eating any food for 2 to 7 days or more to skipping a meal or two on certain days of the week. The most popular time periods of not eating during a fast include 12 to 16 hours a day – most of this time is during sleep. Is Intermittent Fasting different than calorie restriction? IF is different than calorie restriction. Calorie restriction involves eating very low calories, about 1500 or so a day without fasting. IF involves no macronutrient consumption (protein, fat, sugar) within a period of time. Studies have found that not eating for long periods of time is effective for improving weight loss, insulin sensitivity, and other health biomarkers. Insulin does a lot of valuable things for us. It pulls glucose from the blood and delivers it away into our cells to be burned for energy (known as ATP in science) or stored as glycogen. It prevents toxicity from too much sugar in the blood (hyperglycemia) to nerve cell and other body tissues. It also improves muscle growth, especially following resistance training. So, we need insulin. A chronic disease where insulin is not made is type 1 diabetes; injections of synthetic insulin are required to assure healthy blood sugar levels. Also, insulin stops your body’s ability to use fat for energy. Only after glucose is used (and stored in the form called glycogen) can fat be used for energy. When this insulin/sugar metabolism work in concert, we are healthy or called in geeky terms, insulin sensitive, or we have insulin sensitivity. The problem is that when we consume too much sugar, including simple carbohydrates your body produces much more insulin to metabolize sugar than it needs, sometimes two to three times the amount of sugar it needs. Too much insulin in the body causes insulin insensitivity or insulin resistance (both terms used equally depending on what you read) – a problem where insulin cannot properly drive sugar into the cell to make energy. Insulin insensitivity leads to; obesity, type 2 diabetes, heart disease and cancer. This is a long-winded explanation to help you understand one of the benefits of IF and why you should do it. The reason’s you may want to consider intermittent fasting is for; weight loss, longevity, cancer protection, more energy, clearer thinking, overcomes type 2 diabetes and metabolic syndrome. My take on intermittent fasting at this point: eat sensibly most of the time, eat nothing for an extended period now and then, indulge only on occasion (perhaps once a week, say, on a designated “cheat day”). A more specific suggestion is to restrict from food consumption for 12 – 16 hours – EVERY DAY. In other words, skip breakfast. I know, I know I too used to preach that breakfast is the most important meal of the day. I am not sure about that anymore, at least for middle-aged people looking to live longer and stronger. A good breakfast for younger people and athletes is still important. But for the rest of us, not so much. I know, you looking at me like I have three heads. Many do when I suggest this. Believe me, this is difficult at first, but worth it later. The only drinks allowed are plain tea, plain coffee or water – no sugar or milk. You can start doing it 16 hours a day, mostly at night while sleeping. Or start at 12 hours then work your way up to 16 hours a day one week at a time. In other words, start at 12 hours for two weeks, then 13 hours for two to three weeks, then fourteen hours the next, etc. Potentially reduce the rate of cancer in the obese or overweight person. Potential benefits for diseases associated with aging. I started a 16:8 IF a couple months ago and like it. Its not easy to get my normal calories in 8 hours, but Ive gotten into a routine. I”m traveling for the.first time doing this and so far so good. I feel like Im thinking about food more than before and thats not healthy mentally. Dont want to get obsessive about it. I am more careful though about what I eat being only an 8 hour eating window. Im WFPB, so quality is of food is high. Anxios to try the fast mimicking diet as a next step. Hi Jim. Thanks for sharing your experiences with intermittent fasting. Yes, I too had (have) periods where I am thinking, sometimes, obsessing over food when I am fasting. There are many reasons for that, potential food addiction issues (at least with me), or just the fact that eating makes us feel good. Let me know how you do on the fast mimicking diet (by. Dr. Longo). Lastly, you may want to introduce coconut oil or mct oil in our foods or coffee for less hunger. Something like bulletproof coffee. Another option is to eat only from 9 am to 5 pm. I do this almost every day. This lowers the morning glucose optimally. You also have less GERD than if you eat at night. IF also encourages autophagy, which is a kind of detoxification resulting in repair of mitochondria and other cellular components. We are not told about this because it contradicts our hyperconsumerism. Previous Post: Does Eating Chicken Cause Prostate Cancer?